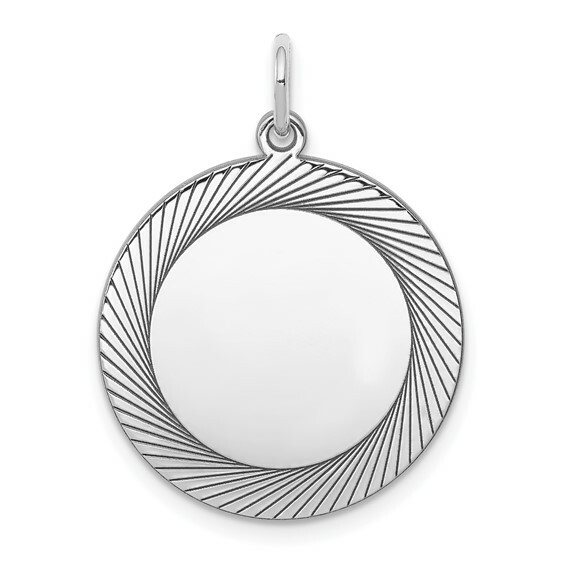 Sterling silver engravable round disc charm features laser etched lines. Item measures 3/4 inches tall by 3/4 inches wide without bail. Weight: 2.25 grams. Thickness: .027in. Made in the USA.